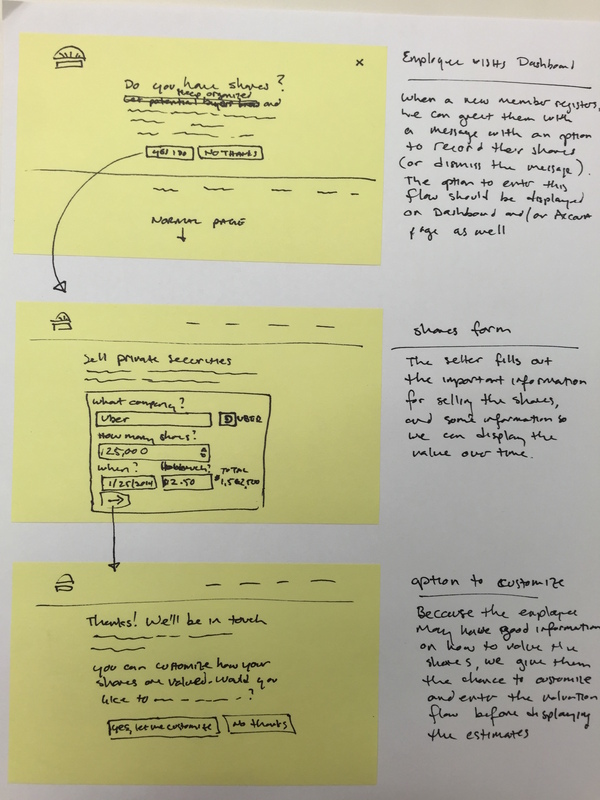 Draw a user flow frame by frame. Storyboards are great to use when the group has had thinking about the problem and many possible solutions to it. Storyboards allow people to develop those early ideas further by giving them more time to dive into details of the interaction. The goal is to take the ideas generated so far (in Crazy Eights , etc.) 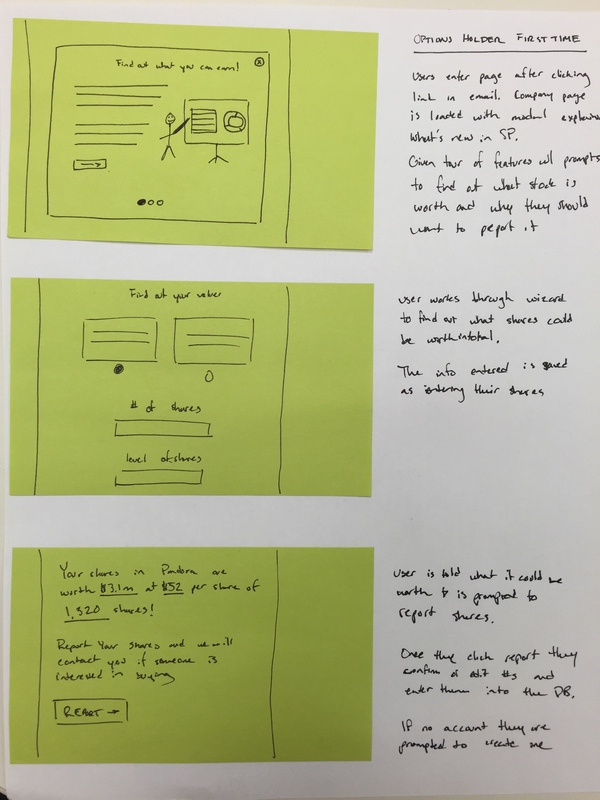 and sketch how a user would flow through a part of story/UI. Start with a blank sheet of paper and put 3 sticky notes going down the side of the page. Choose an idea that you had previously from another exercise like Mind Mapping or Crazy Eights to put more thought and detail into. Each sticky note is one frame in the storyboard. The sticky note should be used to draw the action that is happening. Use the room on the paper to the side of the Post-it to give a brief explanation. Make sure that each frame is understandable without further verbal explanation. Fill in each frame in the storyboard. Give the storyboard a title that encapsulates what is happening. Hang each story board on the wall with tape or a pin. Have either a Silent Critique, a Group Critique or both.